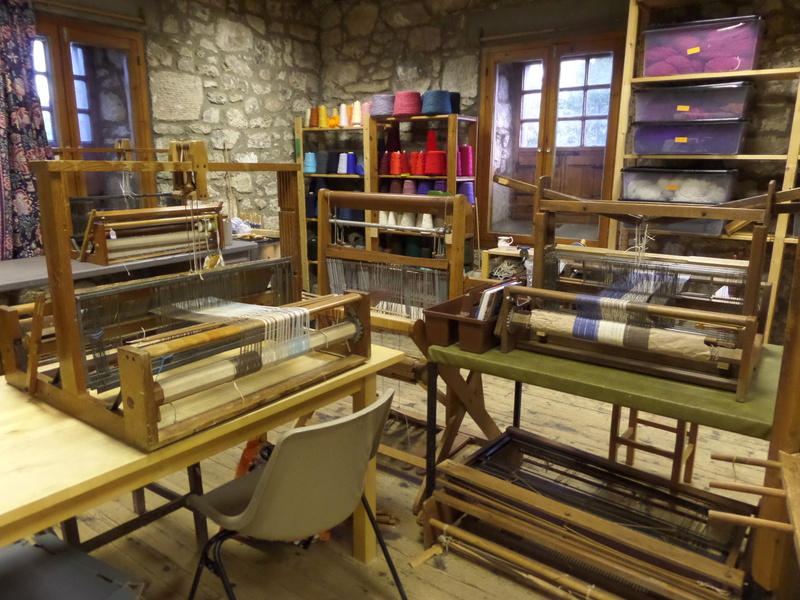 Spinning and weaving is open to all (18yrs and over) and of varying abilities, even the complete beginner. All are welcome. The group meets in the beautiful Crichton Hall and is a wonderful meeting place for students with a shared interest. 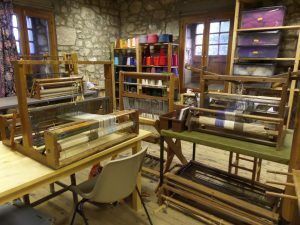 Their activities include the spinning of any fibres on spindles or wheels, weaving on a range of looms from peglooms to four shaft looms. Also you can knit, felt and dye. There is some basic equipment to help get you started but most students have their own equipment. There are also materials available for purchase. A time for Spinners and Weavers new and experienced to come to do their craft together. 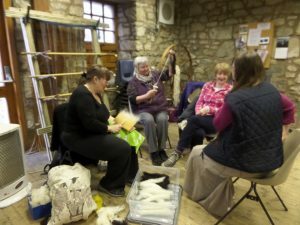 An opportunity to learn from each other, encourage each other and enjoy working together.